Farmers are known for being optimistic. In trying times, they don’t look down; they look ahead. No matter the weather, markets and other challenges we face on the farm, we tend to push through, and know that we need to truck ahead because our livelihood depends on it. I feel as though when it comes to government polices we have more of a short fuse. One might even say we are pessimists. Policy can frustrate us, bringing out cynical remarks. Policy discussions are our right, but also our responsibly. Who else will look after your business needs but yourself? It’s ok to be frustrated with past decisions and policy constraints. It feels like they are always getting tighter. However, we need to be reminded that persistence is rewarded. A farmer wouldn’t still be farming if they gave up at the sight of push back. Wouldn’t you agree? A perfect example is the current success we are seeing with regulatory reform at the federal level. Farm Bureau has beat this drum for years, and finally progress is in sight. Do you have a burning issue that you want brought to light? I highly suggest you connect with your local Farm Bureau to get those discussions going. New or old, our policy process is where the action starts. As a grassroots organization, we take pride in giving the power to our members to create and approve our policy. Each fall at county Farm Bureau annual meetings policy is voted on, with the approved policy being passed to the state level. There’s something to appreciate about an organization that’s driven by you: our members. Yet, this process only works if you participate. Your county annual meeting is coming up. Most take place between August and October. If you haven’t checked in with your local Farm Bureau lately, it’s time. At your local meeting, you will elect your directors, hear about what Farm Bureau has been up to in the last year, talk with folks who have the same values and lifestyles and lastly, discuss important policy issues. I encourage you to get involved. It’s time we become optimists all the time, including when we are discussing policy. 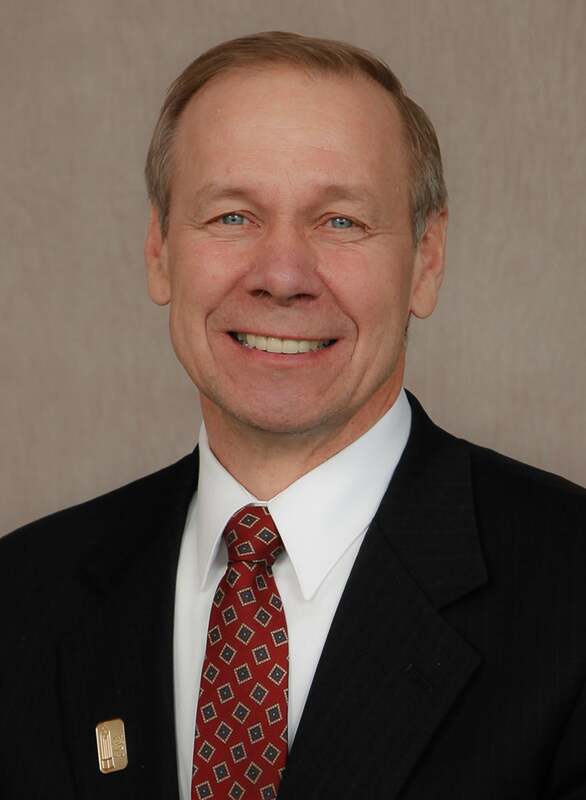 Jim Holte was elected president of the Wisconsin Farm Bureau Federation in 2012. He was elected to the WFBF Board of Directors in 1995. He represents District 9 which consists of the Barron, Chippewa, Dunn, Pierce, Polk, Rusk, Sawyer and St. Croix county Farm Bureaus as well as the Superior Shores County Farm Bureau (made up of Ashland, Bayfield, Douglas and Iron counties). Jim was elected to the American Farm Bureau Federation Board of Directors in January of 2015 as a representative of the Midwest region. Jim grows corn, soybeans and alfalfa on 460 acres of land south of Elk Mound. He also raises beef steers. He and his wife, Gayle, have two children and five grandchildren.